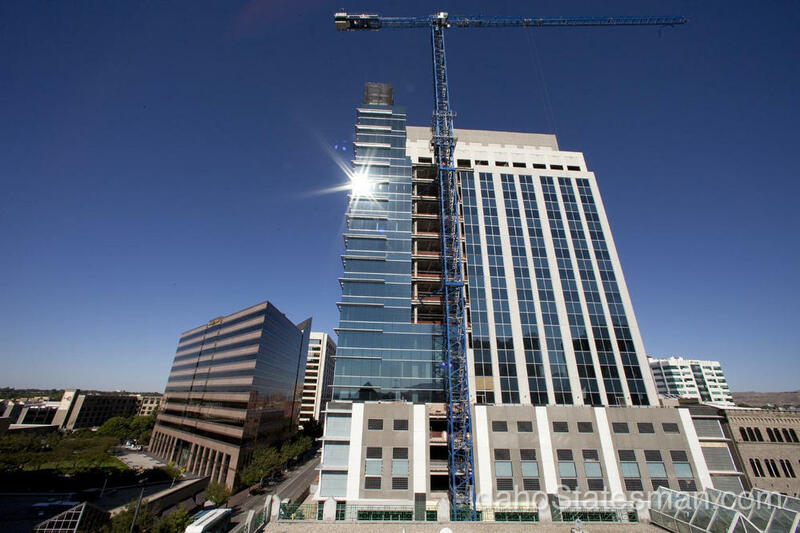 The new Zions Bank building in downtown Boise took 14 months to build. Photographer Darin Oswald documented its construction in a project that will be unveiled this weekend. Hear our conversation with photographer Darin Oswald. So when word broke that Zions Bank would build its new Idaho headquarters there, Idaho Statesman photographer Darin Oswald decided to set out on an ambitious project. He wanted to document the building’s construction through time-lapse photography. Oswald photographed the construction site for 320 days over a 14-month period. Oswald says he lost nearly 20 pounds over the course of the project, climbing more than 160,000 stairs and walking 300 miles to capture the building of the Zion's Bank tower. The Statesman will unveil Oswald’s work Sunday. Oswald says he started his ambitious project by picking six different locations and going there every day to take pictures of the building’s progress. Here's a preview of the Zion's Bank time-lapse.